There is often a circle of advice about one’s pleasures: good one year, bad a bit later, then good again. Nevertheless, I plan to stop burning waste. I have a fire pit about ten feet in diameter. It has been a great pleasure to gather round a fire there; my son and his wife were with me this spring and we ate egg tacos and drank coffee and margaritas and watched a year-long accumulation of yard waste and some old lumber burn. I compost all my ‘good’ plants and have only put ‘weeds’ in the fire pit. Prunings from vines and trees also go in the pit after my cow and bull eat all the leaves. Still the pile grows large and now I will have the work of bagging it and stacking it on my truck to take to the recycling center. I have to laugh at the idea of great piles of relentless Johnson Grass and the horrible Pigweed going elsewhere. I will be like people who move their raccoons and snakes off their property and onto someone else’s. Still, my burn pile does not do much for me. It creates a haven for snakes and other varmints for much of the year. After the burn is done, I cannot use the ashes in my garden since they are extremely alkaline and quite caustic. My soil here is very alkaline; I live over 400 feet of limestone built up during in the Paleozoic Era millions of years ago. I fight alkalinity. So ashes are useless to me. Also, as a volunteer firefighter, I am too aware of burn piles that go out of control. 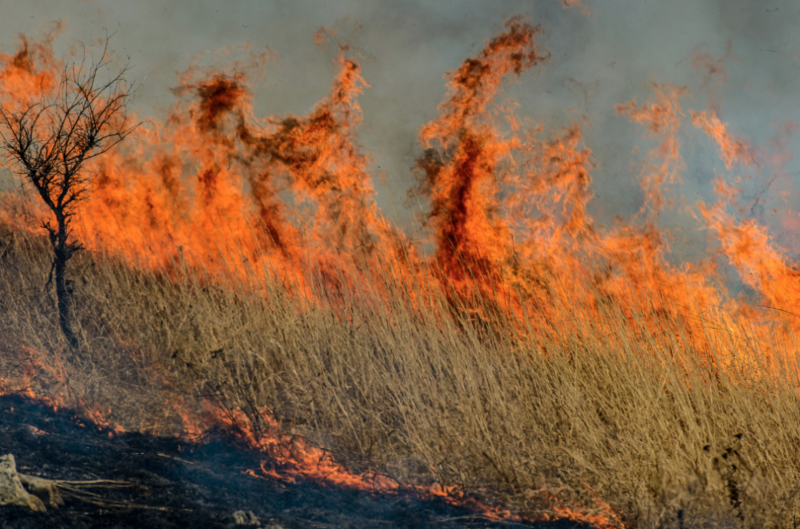 Fire can tear through acre after acre of dry prairie grasses; often jumping into trees. Perhaps burn piles involve too much potential devastation for too little return. None of this is to say I will not enjoy an occasional campfire. And I may build or buy a very small fire pit, maybe a little metal one. I can save some of the prunings from my apple trees. 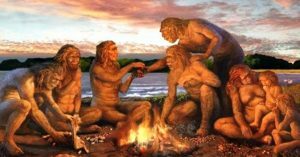 Then on what I call my patio, when the evenings are cool and the burn ban is off, I can enjoy the marvelous smell of the applewood smoke and stare into the flames just like humans have done for a million years. Sometimes it’s good to be bad.